Authors: Komissarova N.V., Gleason K., Matukhin P.G. The article represents the modification of the Knowledge Hub communicative technique of teaching English and other disciplines based on the OneDrive\Word-online cloud service. Specific options for the organization of group work and individual activities are considered. The article highlights the advantage and the efficiency of teaching and learning by the BYOD (Bring Your Own Device) mode. 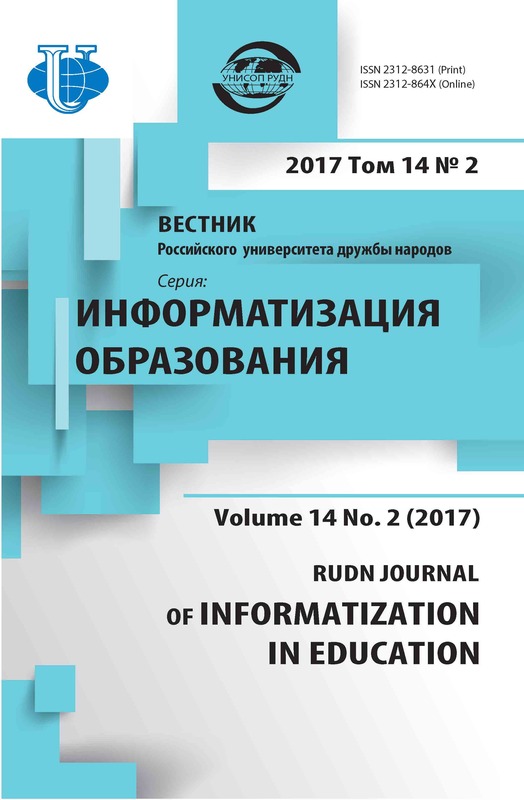 The paper includes examples of organizing of mass support of the study of the course of English for Business and Entrepreneurship (MOOC-Coursera) and of information technology of the Humanities program in the computer class and relying on BYOD mobile Internet access of students. English language teaching, communication technique, group work, Knowledge Hub, OneDrive\Word-online, BYOD, Knowledge Hub, OneDrive\Word online, BYOD. The modern demands in education standards require a comprehensive approach to developing the educational, professional and communicative competencies of students . Widespread mobile Internet access and telecommunication programs make it possible to develop new teaching methods -, or modify traditional ones by adapting them to new hardware and software. Almost every student nowadays has a mobile device. 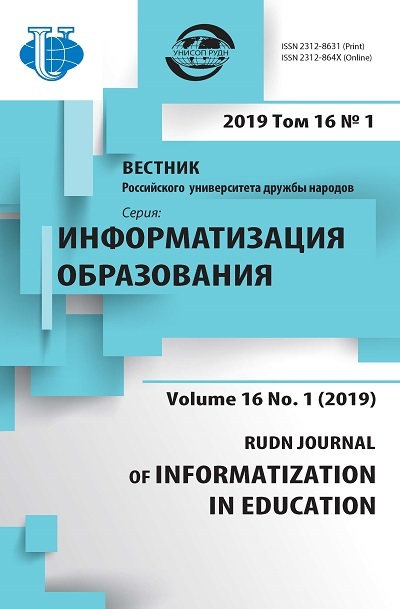 This opens up broad prospects for the development of virtual and self-study classrooms using cloudbased BYOD (Bring Your Own Device) technologies [6; 8; 12; 14]. We can choose some cloud services to be used as the technical fundament for such classrooms [13; 15]. These services provide interactive access, allowing the user not only to view documents but also to edit them - all in real time online. In this paper we consider technique modification in individual-group study of set course module topics, based on a dynamic communicative approach with the open control, self- and mutual control of students. We have applied a scheme known as the Knowledge Hub invented by N.V. Komissarova who is preparing to issue an article about this method, which is one of the blended communicative technologies used in the form of mingle brainstorming activities in the foreign language classrooms as an effective tool to develop critical thinking and language skills through collaboration and problem-solving [2-5]. The proposed online-modification allows us not only to eliminate some drawbacks in traditional teaching methods, but it leads to quality improvement. For example, cloudbased techniques improve the efficiency of scheduled subjects modules, reducing the time required for the development of the classroom module, as well as the assessment and control time. Additionally, the use of these techniques enrich the subject background through the simultaneous development of educational-professional competence in communication and, - information technology. Also shown is the possibility to apply the modified technology to other subjects, including non-linguistic ones, as well as special disciplines. This cross-curricular project was designed and implemented by teachers of English and information technology . Problem. The traditional method of Knowledge Hub is widely used in English teaching and learning, particularly the English language of specialty. It is based on the principles of using a communicative approach exercised in group work classroom activities. The use of these method in different instances suggests separation the studied module in a number of varying interrelated topics. Normally, these are sequential blocks, determined by the logic of the construction of a document, addition of materials to the document, presentating a report, as well as performing some development and results. For example, in the course of English for Business and Entrepreneurship (American Center, Moscow, Coursera.com, University of Pennsylvania, May-July 2016) the Knowledge Hub technique was successfully used to explore a number of specific topics such as - product description; - survey preparation; - strategy development; - business plan writing; - and others. The goal of the program was to develop students’ skills in the basics of English for business and entrepreneurship through the fundamental concepts and correspondents rules in this field. The group tasks were to prepare a part of a business document, write it on a paper, prepare a short presentation and complete a written report. Exercise themes from this methodology’s application can be divided into 2 groups. The first group includes topics that are not possible to divide into blocks. For example, in accordance with the English for Business and Entrepreneurship lesson plan, a product description should be brief and, - no more than 2-3 sentences. The second group allows for blocking. In particular, these are documents that consist of determined standard sections, and to be able to prepare them students are to use clichéd phrases - terms specific for the sphere of business. These communicative approach provides students maximum freedom in the development of vocabulary, construction of sentences, drafting parts of a document and discussion of materials in all stages of completing the task. The study of topics which don’t suggest structuring, can be arranged in large classes by dividing the class into small groups of 5-7 people. Each subgroup performs the same task but on different topics, i.e., preparing a description of one kind of products. In doing so, a standard set of wording can be learned in a short time. Such tasks are usually performed quickly and give the opportunity for each student to hear and parse each group’s version, point out errors and offer corrections. For example, if the topic, such as preparing a business plan, involves extensive material and can be divided into logically connected blocks, then all students’ groups can select one topic (product, service, mix), while subgroups are given the task to prepare a separate unit (a - summary, description, analysis, survey, market survey, financial analysis, conclusion. It provides a pass-through linear transfer of reporting from one group to another. This described scheme is effectively used in the organization of classroom group-work. In this live an intense communication with the teacher and other group members students have the opportunity to understand terminology, practice their skills in documentation and oral presentation on the topic as well as discussion when going over the work done by the other subgroups. Including the use of modern mobile Internet tools in teaching allows us to improve traditional methodology, increase learning efficiency, and benefit from the qualities of the technology under investigation itself. Modern information technologies can modify classical Knowledge Hub for greater development. In particular, it is possible to improve teacher’s control, self-control and to introduce peer review of all subgroups. Additionally, all students’ results may be easily archived and stored for further analysis and feedback. The purpose of the proposed technology is to develop a set of elements of information support, training, or monitoring activities with the use of the scheme of the Knowledge Hub based on mobile tools, which can provide: - Expanding the range and amount of language learning; - The intensification of the learning material development; - Widening the range of skills developed in the classroom through computer typewriting, audio recording, speaking and listening; - Storage and security of the results of each subgroup work and the entire group as a whole; - Participant access to all writings at all stages during the execution of the exercise, self-control and mutual control of the quality of the performance; - Operational control by the teacher of all tasks with the possibility of adjusting students’ work in real time online. To achieve this goal it is necessary to solve a number of challenges. These include: - Analysis of existing methods and development of proposals for improvement via of mobile information technologies, - maximum use of possibilities of group work in written form; - Selection of common mobile access hardware and software system information technology support for classes; - Preparation of manuals and guidelines and providing their open access to students; - Applying elements of pedagogical techniques and technologies for different classrooms; - Organizing and conducting virtual and blended classroom activities; - Development of tools for monitoring and measuring class effectiveness; - Organization of assessment procedures, data collection and analysis of study results, production of study reports and recommendations for further development and improvement of methods. To achieve these goals, we have developed a modified scheme of the classical Knowledge Hub. We will show you how this technology can be used and developed in different subject classrooms, for example, Information and Computer Technology. The module suggested studying 4 themes - text editor MS Word, the presentation designer MS Power Point, the spreadsheet processor Excel and the MS Access database control system. The objective of the training was intense, short-term study of the classification, function and structure of the MS Office programs package. We would like to note that the student group consisted not only of Russian students - almost half of the students were citizens from foreign countries - CIS countries, the Middle East, Africa, Asia and Latin America. Many of these students didn’t have a proper Russian language expertise. Therefore, the main aim form them in the first stage of the study was to pick up special terminology of computer science and master the terms. Method. Educational module structure analysis showed that it can be divided into a number of parts. There are 4 topics corresponding to the components of MS Office. Each topic can be logically divided into blocks, the content of which is defined as General learning objectives (i.e. classification, designation programs), and special information. The latter includes knowledge about the system management tools. This system is clearly structured and standardized. Thus, each program has common elements and some specific features, which are both the subject of learning. This analysis led us the necessary replacement of the classic linear analysis of the Knowledge Hub to a matrix one. A study of the matrix allowed us to propose a non-linear track, composed of the diagonal elements of the matrix. Keeping in mind the need to examine all programs and the high standardization of systems management, we have developed a spiral thinking course of study. The plan is presented in Table 1. Table 1 Office Programs Frame Topic\Program Word Excel Power Point Access Class 1 2 3 4 Type 4 1 2 3 Purpose 3 4 1 2 File 2 3 4 1 Head 1 2 3 4 Insert 4 1 2 3 Page layout 3 4 1 2 Reviewing 2 3 4 1 The column 1 contains the names of programs, training questions. The task is to describe in up to 5 sentences the purpose and operational scheme of the relevant unit control commands for each program. Traditional methodology would suggest completing this task in a linear fashion. That is, we could have each group answer the same question for all programs, or disassemble a program in full. This approach does not allow one to achieve a complete understanding of the overall principles of the program’s management or the existing differences between them. The spiral diagram suggests answering one and the same questions for all 4 subgroups of students from 4 different programs. After answering the first program question, students then should go on and answer the second question, but they are shifted one column right to another program of the table. Upon reaching the end of the row, they move on to a new line in the table below. The track of each group is marked in the matrix by numbers corresponding to the group number. A blank matrix is contained in the cloud storage. Students receive access to it with editor rights. Choosing the cell with the number of their group, students can independently perform the task in a parallel mode. However, they can observe the work of the other groups and participate in all discussions. The teacher can also observe the work of each group on his monitor or computer board and, if necessary, make some necessary adjustments. This open scheme admits some elements of competitiveness. Everyone can set the task for groups to perform the exercise first, stimulating it by awarding more points for it. There might also be other features that can turn an exercise into a learning game. It’s beneficial that such an open parallel operation provides an objective control of the results of all participants and increases their confidence in assessment fairness and grades. We choose Microsoft WORD Online processor as our platform for Knowledge Hub matrix-spiral circuit, which is one of the cloud storage services in MS OneDrive. We made this choice knowing that the majority of students know and frequently work with interface and control system. Additionally, the Cloud text editor has a built-in web converter, which converts a text document into a web page. This advantage gives us the opportunity to organize joint work groups for filling in the matrix cells without necessitating the download of any files. All students are able to see and analyze each other’s work in this space, allowing them to discuss and use in results interchangeably. Such direct access to written material and public verbal communication provide greater introduction and consolidation of vocabulary, practice in computer writing skills, reading and speaking and many other communicative skills. That is, it also becomes an effective instrument in educating participants in educational-professional communication skills. Imagine the teaching process organization in the class consisted of 3 groups each of 3 participants. The teacher demonstrates the document on a computer board and each member of the class can see it there directly on his or her own workstation or mobile device. This allows the teacher to directly observe each group and even each group member’s task performance, which in turn allows the teacher to modify or improve teaching of the technique based on the student’s real-time needs. One essential advantage in favor of the Word-online choice as a medium of learning support is its high level of usability and adaptability. The organization of classes does not require the use of any media recording or overwriting the files. The teacher is able to give students access to the matrix through a simple hyperlink, which he can post on his website, send via e-mail or write the URL on the board. The online board’s built-in link generator provides shortened URL. The participants don’t have to save the data, the system does it automatically. Even in case of a technical failure, all data will be saved and it’s enough just to re-open the document to continue work. Additionally, all participants can see where other groups are currently working. Those positions are marked with colored flags. The evaluation of completed exercises can be organized in different ways. Traditionally, teachers make assessments based on work done as well as observation of classroom activity and contribution. In this case we allowed students to evaluate each other by group evaluation. We proposed and tested 2 approaches. The first one assumes that each student group gave one other grade they felt were appropriate. In analyzing the results, it can be clearly observed that they are too much overestimated. Each group has put high marks hoping to be evaluated the same high toward their own work in response. We therefore redeveloped the system limiting the freedom of assessment choice. Each group was granted the right to assess the work of others within a three-point system. Every rating of 1, 2 or 3 points for each question or block of rows of matrix module could be used only once. As a result the marks for class members appeared to be more objective. The nature of open access to records reduces the time necessary for assessment discussion and increases their credibility. We could register the absence of problems typical of work in the closed mode with the use of written paper work. The teacher has the ability to restrict a brief review when evaluating the work of each group. If the number of students is small, it is possible to organize task performance in an individual mode. When there are multiplies of 4 in a classroom, then four tables can be created for each group and thus we can provide the opportunity for every student to do assessment procedures in their own spiral, or to combine them with 2-3 persons. We used such a scheme, mixing the pairs with Russian and foreign students. This technique proved to be highly efficient. Foreign students could easily remember the notions with the help of their Russian partners. And the latter, through explaining obscure details to their companions more firmly deepened their own knowledge. An important advantage of the online group learning techniques in the Word-online\ OneDrive platform is the possibility to save all materials from all classes. 10 GB of cloud storage available is sufficient for the massive use of the spiral matrix technology presented here. The ability of the teacher to store materials in his online portfolio allows a user access to them at any time, such as for teaching or research purposes. Files or individual tables can be simply copied and everyone can import them to any other programs within the MS Office package for further processing. Also, if necessary, the teacher can provide access to the course content for other stakeholders to view and access - such as the Dean’s office, administration, or parents of the students. This can be done at the end of classes or during the private meeting, giving those who wish a short notice in advance by email, phone or by posting an announcement on the open class page of the teacher in the Internet. An open scheme when involving third-party observers can surely increase the student motivation and willingness to learn. There are no limitations in terms of the kind of hardware necessary to use in this technology. Students can use any device providing Internet access. This can be desktop computers, laptops, netbooks, tablets or Smartphones. The tasks can be performed either in the computer or traditional classrooms. This technology can be also applied in the remote access mode. For example, it’s possible to organize a virtual home workshop, agreeing in advance the time of the event. Or it is possible to make the class asynchronous, opening access to the matrix module for unlimited time. Asynchronous and asyntopical mode is especially effective for self-training. The students are not under the influence of the classroom or examination stress and it is easier for each student to complete the assessment in his own schedule, time of day place. This methodology, with virtually no significant modification necessary, can also be used not only in studies, but also in the implementation of control measures with an open access for all stakeholders. Results and analysis. The methodology described above was applied in mixed groups of first year students of Humanities. The classroom mainly contained Russian students with poor expertise of information technologies and also foreign students with poor expertise of Russian, the language of science and the subject in general. The matrix-spiral technique in the Word-online document mode has allowed not only to significantly improve learning capacity, but also to obtain more reliable and controlled results of the subject mastery. Open discussion on the written answers made it possible to establish their adjustment and detailed explaining to those who wanted to learn more. A positive role was performed, among other things, by the opportunity given for all participants to take part in the estimation of each other’s work. Students without any additional incentives could easily identify shortcomings and mistakes, and offer correct options. The study content discussion included not only technical details, but spelling, grammar and other elements of language training. It is possible to note that there was a significant reduction in time spent on mastery of the material and to control results, especially with a large number of participants. Thus, the matrix-spiral technique in online tools can efficiently solve the problem of the formation and development of communicative educational and professional competences. Considering the possibility of using spiral-matrix Knowledge Hub technology for a variety of disciplines, we can say that it is quite versatile. Consider the example of the study, training and preparation process for business plan assessment for the MOOC- Coursera course of English for Business and Entrepreneurship. The goal of this lesson is to provide training for making four standard sections of a business plan (e.g. Product Description, Survey, 4P’s, Financials). It is designed for four groups of students who are supposed to prepare plans for 4 projects - Homebot, Pizza Fast, Pink Taxi, Magic Pen. It is located in a Word Online document in the OneDrive cloud storage. Access to this document can be provided to students via a hyperlink. In the course of the assignment each group is given an opportunity to practice preparing different sections for different projects. Thus, all students can study the details of the projects and explore the set of standard phrases for describing all types of projects - the production of goods, provision of services and mixed. It is a valuable advantage of the spiral-matrix method within cloud technology. We have presented the basic configuration of the techniques. It includes only the main element of the technology - the matrix of a training module. It is not difficult to develop this structure, up to its transformation into a training complex. Online version of the document that contains the matrix module, can be supported by such elements as hyperlinks to educational materials, thematic sites, online translators, games, simulations, etc. These items can be permitted for use by students preparing for classes or in the classroom itself. Conclusion. Some results of development and validation of the modified communicative Knowledge Hub matrix-spiral approach represented in this paper, seems to be useful for foreign languages teaching, including the language of specialty. They showed higher efficiency due to the use of modern network technology based on fixed and mobile access to the Internet resource MS OneDrive\Word-online to increase the level of mastering of educational content of the course of Informational and Computer Technologies for Russian and foreign students of the first course of the Humanities. Borsova E.V. Mingles in the Foreign Language Classroom // English Teaching Forum. 2014. No. 2. Pp. 20—27. Shadbolt, Nigel and Smart, Paul R. (2015) Knowledge Elicitation: Methods, Tools and Techniques. In, Wilson, John Rand Sharples, Sarah (eds.) Evaluation of Human Work. Boca Raton, Florida, USA, CRC Press, 163—200. Komissarova N.V. Teaching English via IT Tools and Professional Communication // Inspire and Aspire: Towards New Teaching Horizons: sb. statej XXI mezhdunarodnoj nauchno-prakticheskoj konferencii. Ekaterinburg: UGPU, 2015. S. 78—85. Anohina E.V., Godina E.Z., Matuhin P.G., Titova E.P., Provotorova E.A. Onlajn sredstva informacionno-metodicheskoj podderzhki distantnogo izuchenija kursa «Anatomija cheloveka» dlja inostrannyh studentov-medikov predvuzovskogo jetapa obuchenija na baze oblachnyh BYOD tehnologij Microsoft OneDrive/Word-online [Online of means of information and methodical support of distantny studying of the course “Human anatomy” for foreign medical students of a prehigh school grade level on the basis of cloudy BYOD of Microsoft OneDrive/Word-online technologies] // Vestnik IRJaiK MGU. 2015. Vyp. 4. S. 21—30. Grachjova O.A., Matuhin P.G., Jel’sgol’c S.L. Mezhpredmetnye IT proekty v razrabotke UPM po russkomu jazyku dlja fizikov [Intersubject IT projects in development of UPM on Russian for physicists] // Vestnik Rossijskogo universiteta druzhby narodov. Serija: Informatizacija obrazovanija [Bulletin of the Russian university of friendship of the people. Education Informatization series]. 2013. No. 4. Pp. 27—39. Matuhin P.G., Jel’sgol’c S.L., Provotorova E.A. Wiki-proekty na oblachnoj platforme OneDrive kak komponenty BYOD onlajn-tehnologij obrazovatel’noj jazykovoj i predmetnoj adaptacii inostrannyh studentov [Wiki-projects on the OneDrive cloud platform as the BYOD components of online technologies of educational language and subject adaptation of foreign students] // Problemy nepreryvnogo obrazovanija [Problems of continuous education]: materialy XII Mezhdunarodnoj nauchno-prakt. konferencii. Lipeck: LGPU, 2014. Pp. 88—95. Provotorova E.A., Titova E.P., Matuhin P.G., Sarycheva N.N. Kooperirovannye IT-proekty kak tehnologija lingvokomp’juternogo modelirovanija jazykovogo profilja specialista [The cooperated IT projects as technology of lingvokompyyuterny modeling of a language profile of the expert] // Sovremennye tehnologii i taktiki v prepodavanii professional’no-orientirovannogo inostrannogo jazyka [Modern technologies and tactics in teaching the professional focused foreign language]: sbornik nauchnyh trudov. No. 1. M.: RUDN, 2013. Pp. 124—129. Titova E.P., Provotorova E.A., Matuhin P.G. Sovmestnye predmetno-jazykovye IT-proekty kak jelement nepreryvnogo razvitija IKT-kompetentnosti prepodavatelej [Joint subject and language IT projects as an element of continuous development of ICT competence of teachers] // Informacionnye tehnologii v obrazovanii [Information technologies in education]: materialy XXIII Mezhdunarodnoj konferencii-vystavki. Ch. 3. M.: Izd-vo fakul’teta VMK MGU im. M.V. Lomonosova, 2013. Pp. 26—28. Jel’sgol’c S.L., Pevnickaja E.V., Matuhin P.G. Razrabotka mediakompleksa po fizike s jelementami obrazovatel’noj adaptacii studentov-inostrancev na fakul’tete russkogo jazyka i obshheobrazovatel’nyh disciplin s primeneniem tehnologii wiki-proektirovanija [Development of a media complex on physics with elements of educational adaptation of students foreigners at faculty of Russian and general education disciplines with use of wiki-technology of design] // Professional’no napravlennoe obuchenie russkomu jazyku inostrannyh grazhdan [Professionally directed training in Russian of foreign citizens]: materialy IV Mezhdunarodnoj nauchno-prakticheskoj konferencii. M.: MADI, 2015. T. 3. Pp. 278—280. Copyright (c) 2017 Komissarova N.V., Gleason K., Matukhin P.G.